Moist to well-drained soils in coastal uplands as well as lowland and coastal woods. In the wild, it is one of the two climax species of a Beech/Magnolia forest. 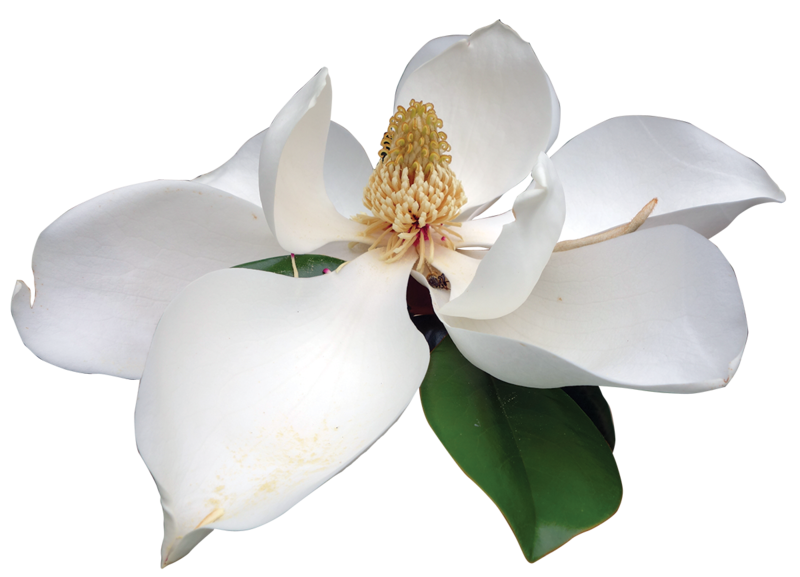 Its blossom is Louisiana’s state flower and produces an essential oil used in making fragrances. 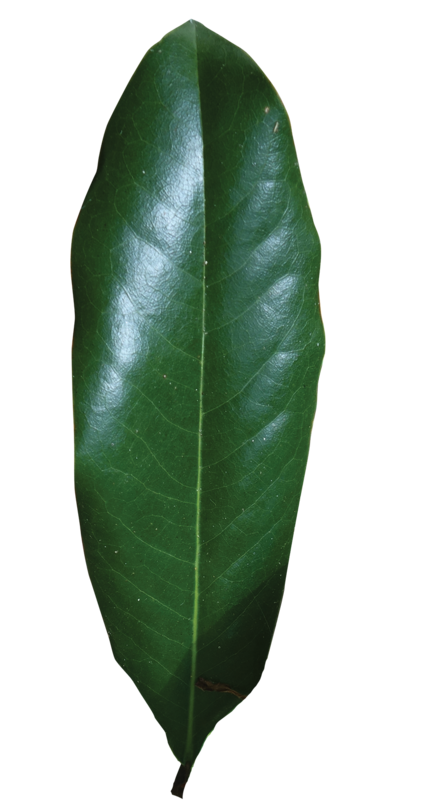 The bark has been used as a stimulant and as a wash for treating sores and edema. Cylindrical, cone-like pod, 3 to 5” long with bright .5” red seeds, maturing in fall. 6 - 8” wide, very fragrant with large white petals, occurring in late spring and occasionally a few in the fall. Seeds from its pods are a minor part of small mammals‘ and birds’ diets; tree has only a limited cover value.